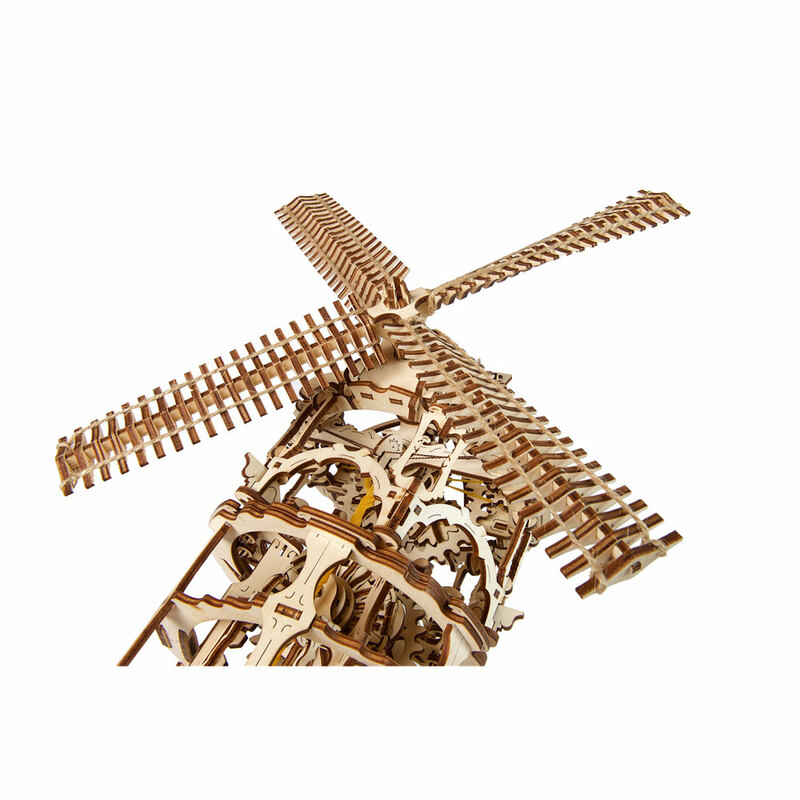 UGears Tower Windmill | Watch it turning over and over! A wonderful model for your collection! 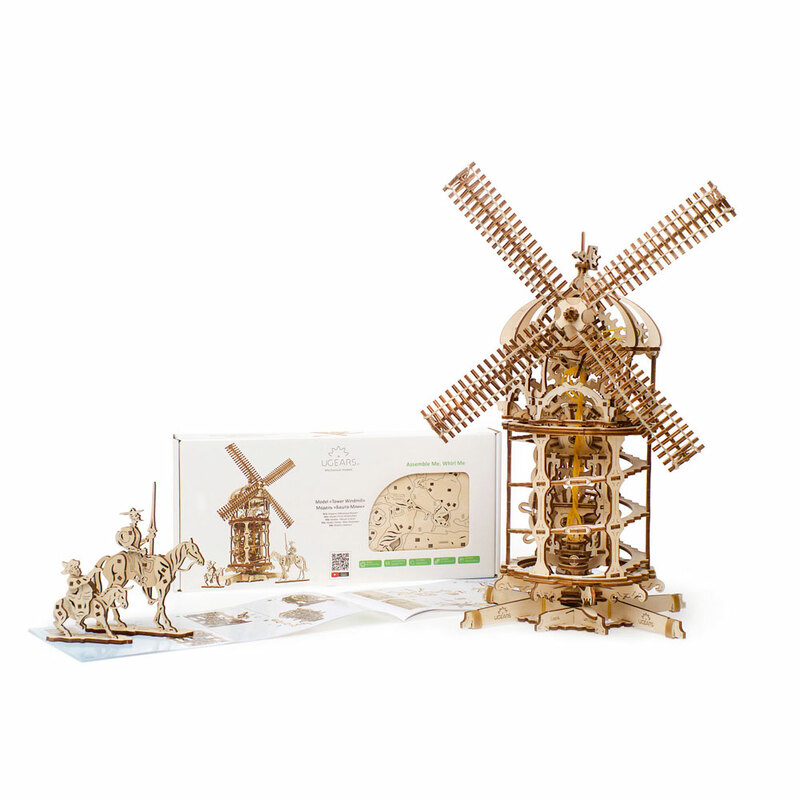 The Tower windmill is one of the oldest inventions of mankind, and the UGears Tower Windmill takes you to post-medieval England! 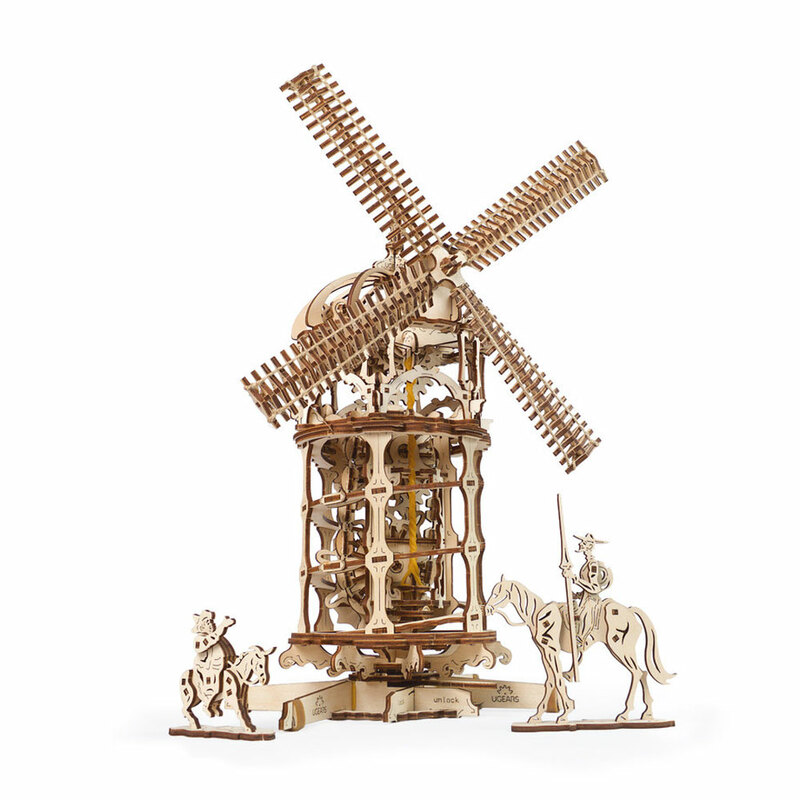 This model is inspired by the Chesterton Windmill, a 17th century cylindrical stone tower windmill that was built in Warwickshire county. It is powered by a removable rubber band motor, and drives the sails by means of a screw conveyor and gear transmission. The design of the gear transmission includes a flexure link, the type of chain drive assembled out of many small links. 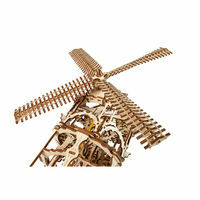 The full-fledged chain drive used in this model (made out of plywood) has never been used in Ugears models before! 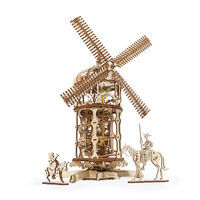 Your mechanical model can be assembled without glue or special tools thanks to patented plywood joints. Examine a range of fascinating self-powered movements in detail (all without batteries), or use a fan to demonstrate to your kids how real windmills operate in every day life. The rotation of the windmill sails is mesmerising!